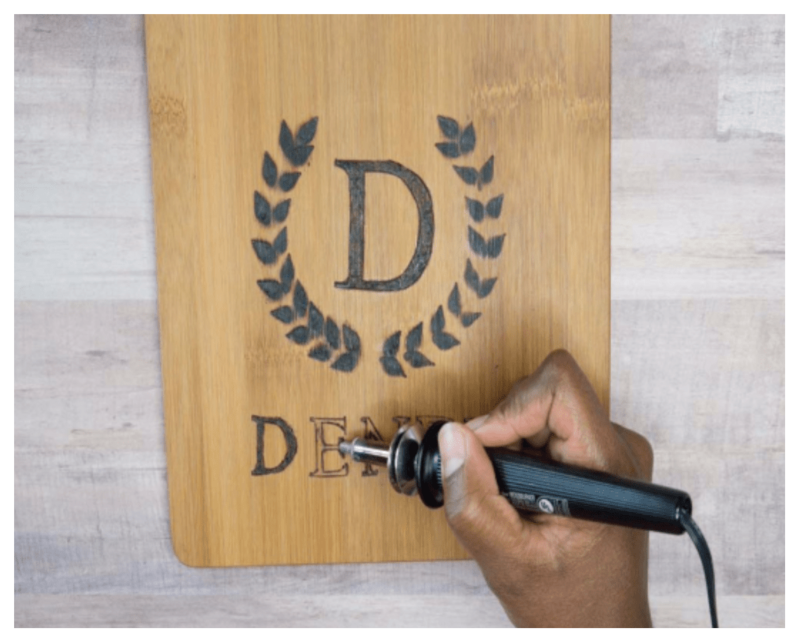 This DIY Monogram Cutting Board is a very simple project you can make as a gift to a family or friend for a housewarming, bridal gift or even as a thank you for the thanksgiving host. It’s also a great decor piece to add to your own kitchen. This is a craft project kit from Home Made Luxe and each monthly project is like Pinterest in a box and contains all the materials you need to create DIY home decor projects like this one plus written and video instructions. 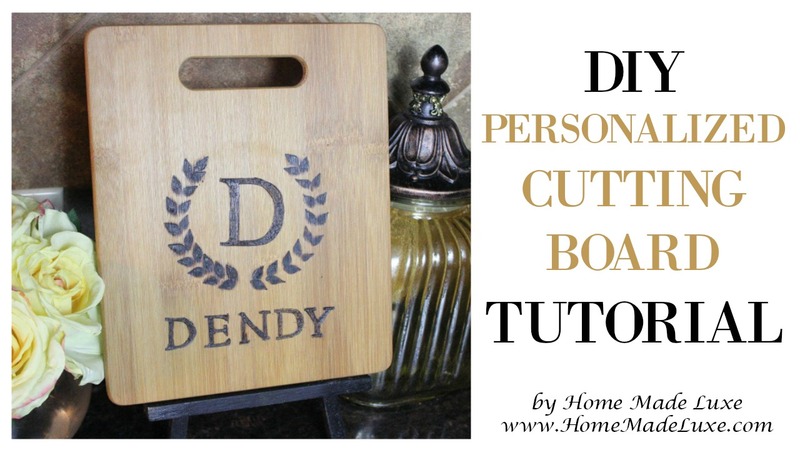 You can grab this DIY Monogram Cutting Board Project here. Screw the shading tip into your wood burner & plug it in to warm up. Be careful it is extremely hot. 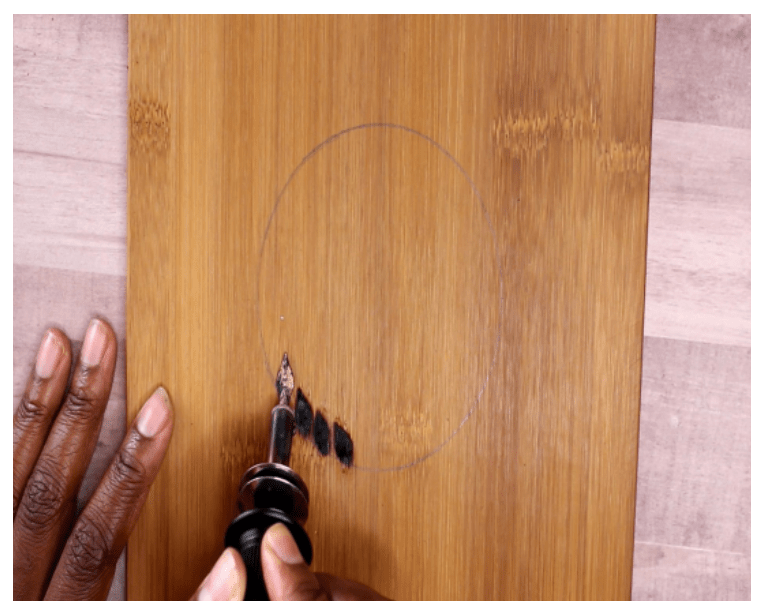 Use a cork coaster and a pencil to trace a circle in the center of your cutting board. Start burning ‘petals’ on the inside of your circle, by holding the tip down on the wood for 5-10 seconds, stopping near the top of your circle. Then burn ‘petals’ on the outside of the circle. At the top, put one ‘petal’ facing upwards. Repeat this process on the other side. Plug out your burner and let cool, then use a pliers to add all purpose tip. 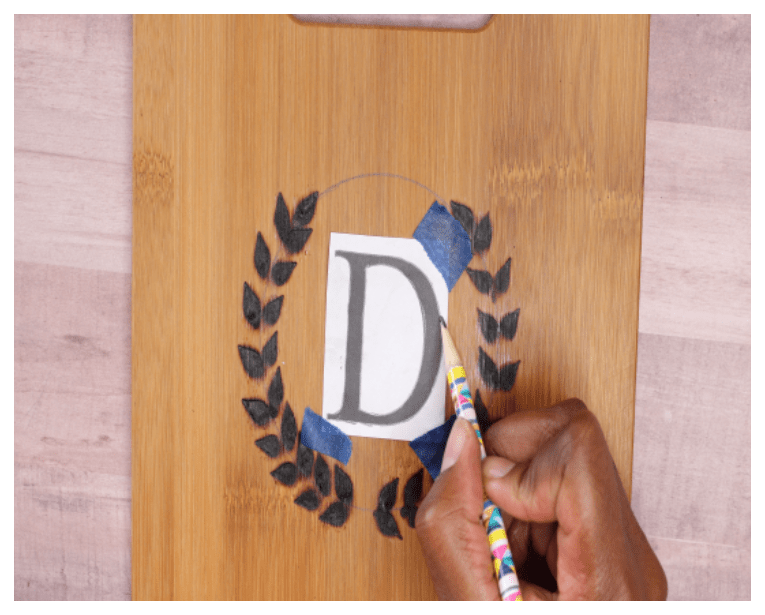 Cut out the large letter you wish to use for your monogram. 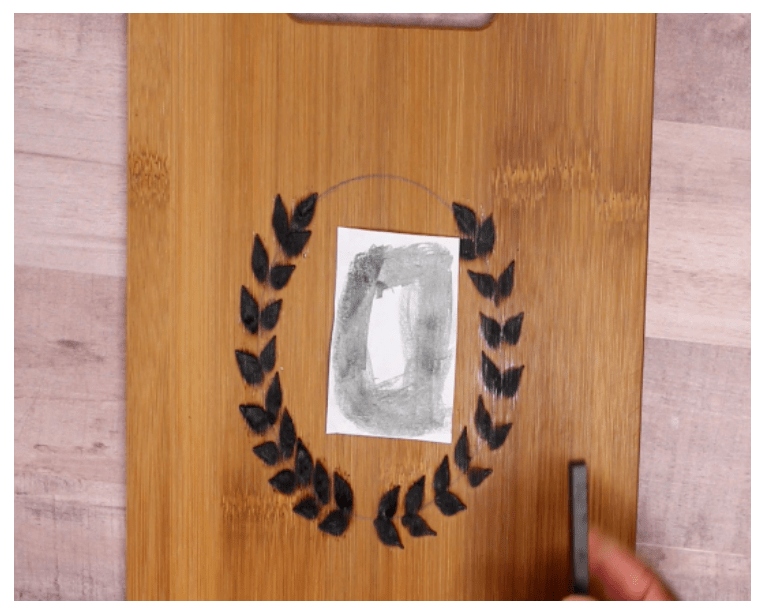 Turn it over and rub your graphite stick onto the blank side of the paper, getting it as dark as possible. 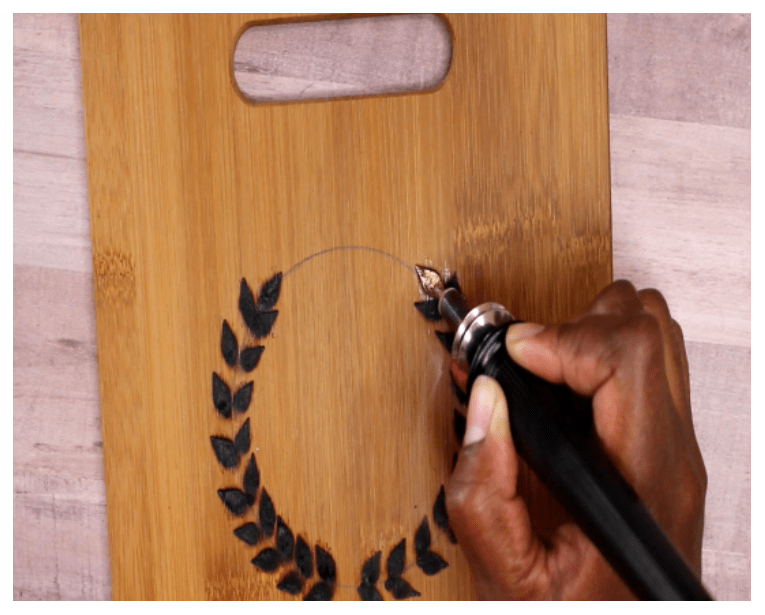 Turn your letter over again and tape it to the cutting board in the center of the design. 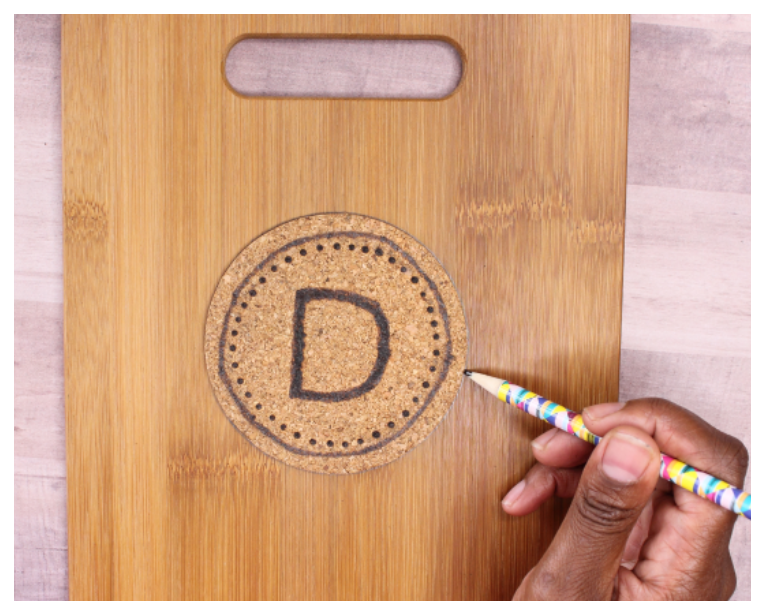 Use your pencil to trace over the outer and inner lines of the letter. 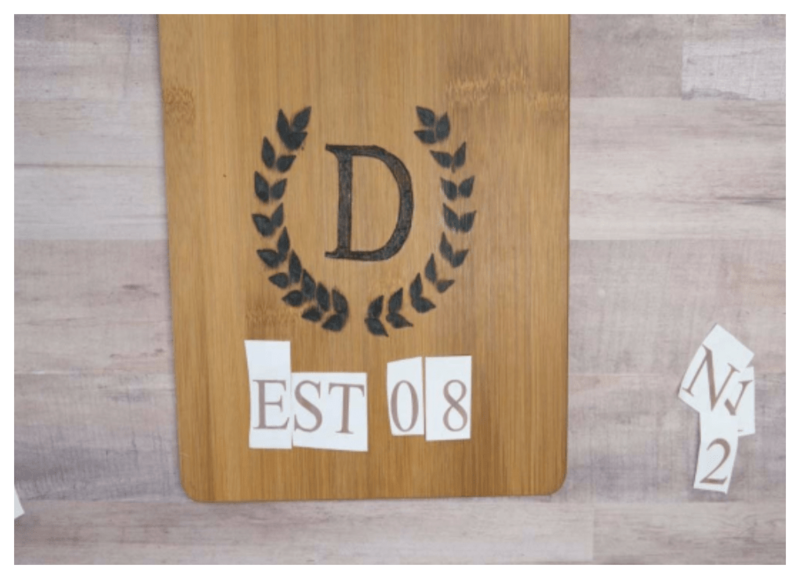 Remove paper to reveal copy of letter on the cutting board. Use the all purpose or extra fine tip to burn the outline of your letter. Then use calligraphy tip to burn the inside of the letter to shade it. Erase all pencil marks. 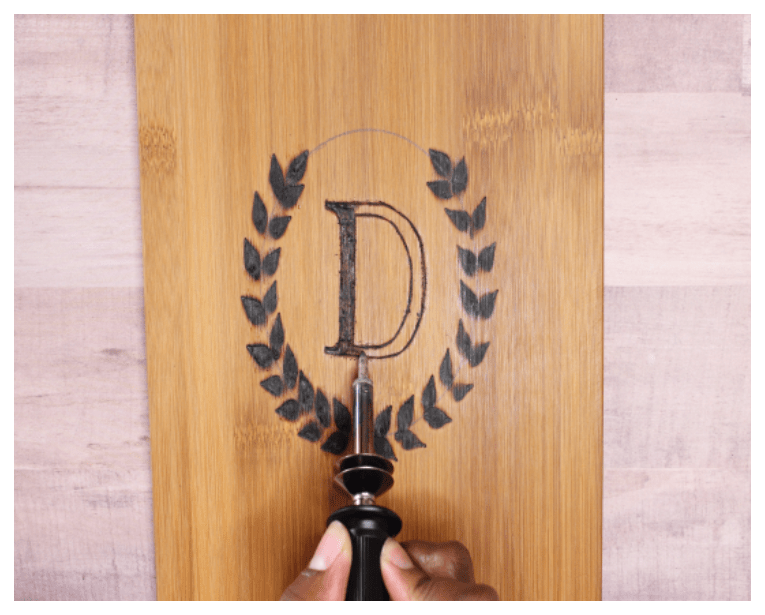 If desired, add your last name, word or wedding date under the monogram by cutting the small letters/numbers needed & repeat the process to trace to board. Burn & shade the letters with the all purpose & calligraphy tips. Unplug & cool wood burner before using pliers to change tips. Test out wood burner by burning on cork coasters first before trying on cutting board surface. Use old washcloth to clean off tips when needed.